Patricia Schwartz, FNP-C, has joined St. Peter’s Internal Medicine, a practice of St. Peter’s Health Partners Medical Associates. Board-certified in family practice, she will practice internal medicine. 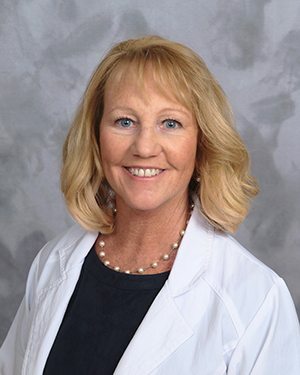 Previously, Schwartz was a nurse practitioner with St. Peter’s Addiction Recovery Center in Guilderland, New York, and before that with the U.S. Department of Defense in Virginia. She received her Family Nurse Practitioner master’s degree from Stony Brook University in Stony Brook, New York. Schwartz is based at St. Peter’s Internal Medicine at 63 Shaker Rd., Suite 102, in Albany, New York. To schedule an appointment with Schwartz, or for more information, please call 518-207-2710. St. Peter’s Health Partners Medical Associates, with more than 350 physicians and advanced practitioners in more than 80 locations, is affiliated with St. Peter’s Health Partners – the region’s largest and most comprehensive not-for-profit network of high-quality, advanced medical care, primary care, rehabilitation, and senior services.